The Law Office of James E. Lund, APC represent sellers, buyers, real estate brokers, and real estate professionals such as appraisers, home inspectors, and escrow companies. We provide an Escrow Review Form for the use of our clients in order to determine in a questionnaire format the terms of the proposed purchase or sale. We advise our clients of the differences between the California Land Title Association (CLTA) and the American Land Title Association (ALTA) forms of title insurance. We advise our clients regarding the disclosures which sellers must make and which buyer must receive in regard to the purchase and sale of real estate in the State of California. We assist sellers and buyers with misrepresentations and failures to disclose. 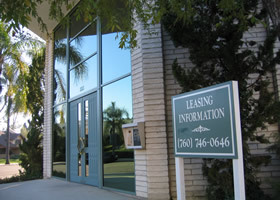 We assist our clients with the negotiation and documentation of both residential and commercial leases. Next to buying a home, the lease for either residential or commercial real estate is one of the most important legal documents signed by our clients. We provide a Lease Review Questionnaire for our clients so that they can be aware of the types of provisions that are contained in most leases. We advise our clients on ground leases, leases with options to purchase, gross leases, triple-net leases, lease options, lease assignments, and subleases. We have represented property managers with over a million square feet of commercial real estate leases. When there is a dispute between the landlord and tenant, we handle evictions, and we advise regarding abandoned property. Read our article on evictions entitled: "Landlords: Eviction for Nonpayment of Rent". As part of representing our business real estate clients we also advise them regarding promissory notes secured by trust deeds, and mortgages. A trust deed is a document recorded with the County Recorder's office which shows that a lender has made a loan against the property. The lender has a right to foreclose on the property if the loan payments are not made. We advise our clients regarding both non-judicial and judicial foreclosures. A non-judicial foreclosure utilizes the power of sale contained in the trust deed and is the quickest method to foreclose property. A Notice of Default is recorded with the County Recorder's office which gives the property owner 90 days to cure the payment arrearages or missed payments. After the 90-day period has lapsed, a Notice of Sale is recorded with the County Recorder's office which generally sets a sale for the property aproximately 21 days later. On the day of foreclosure the holder of the original trust deed is able to bid the entire value of the obligation, including the principal, interest, trustee's fees, and any other statutory fees, in what is called a "full faith and credit bid." This bid is the first bid at the auction and any other person present for the foreclosure sale may then bid a higher sum. Less frequently we recommend a judicial foreclosure in which a law suit is actually filed with the court and the court orders a foreclosure. A judicial foreclosure is generally more expensive and generally takes at least 6 months. However, when a property owner continually goes into default after several Notices of Default, a judicial foreclosure is always recommended because a judicial foreclosure cannot be easily cured. We advise both creditors and property owners regarding both non-judicial and judicial foreclosures. We represent property owners regarding development contracts, land use & zoning, CC&R's, landscape maintenance agreements, and irrevocable dedications. We also represent contractors, subcontractors, and design professionals regarding real estate issues. We also advise regarding mechanic's liens and lis pendens. Most disputes between neighbors involve issues of easements, boundaries, covenants, conditions & restrictions, and title disputes. We negotiate and prepare easement agreements, boundary adjustment agreements, covenants, conditions & restriction, and all other sorts of real estate related documents. When there are easement, boundary, or title defect disputes we review the original vesting documents such as grant deeds, we obtain the title policies, we review parcel maps, surveys, and plotted easements. We assist our clients in making claims against their title insurance company, their home inspector, escrow companies, and real estate brokers. When all else fails, we aggresively represent our clients in regard to real estate litigation.